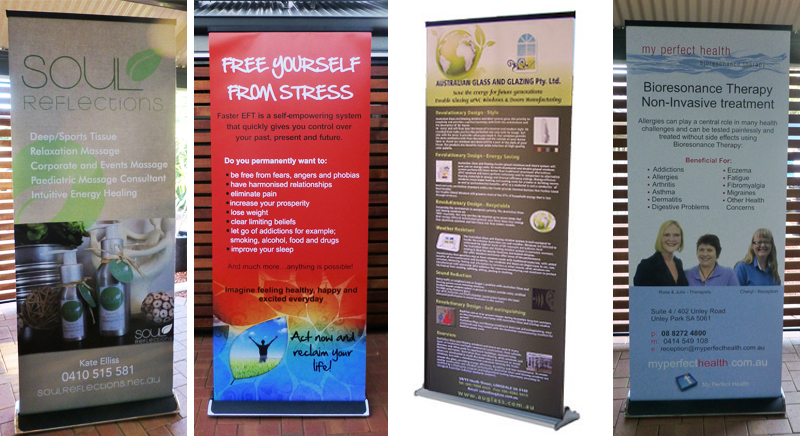 Pull up banners are also known as retractable banners or roller up banners which is very easy to set up in just seconds giving you a large advertising banner display and the flexibility to easily move and carry. Ideal for seminars, Trade shows or a display for showrooms or office. We have Budget & Premium 850mm x 2000mm retractable banners to choose from. Larger sizes and Double-Sided also available. 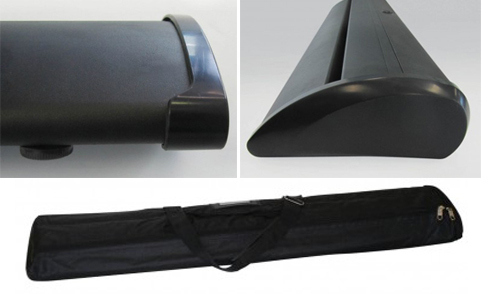 Our premium pull up banner stands have a wide base and are made from high grade aluminium. It comes with a quality built in roller mechanism and carry bag. Full colour 850mm x 2000mm solvent print on a Stay-Flat Synthetic Film with Grey Back to prevent light penetration from reverse side, 250 micron thick non curling satin film, also non-tearable. Our budget pull up banners are the most economical pull up banner, which is made from anodised aluminium casting and comes with a built in roller mechanism. It comes with a carry bag. Full colour solvent print on a Stay-Flat Synthetic Film with Grey Back to prevent light penetration from reverse side, 250 micron thick non curling satin film, also non-tearable.